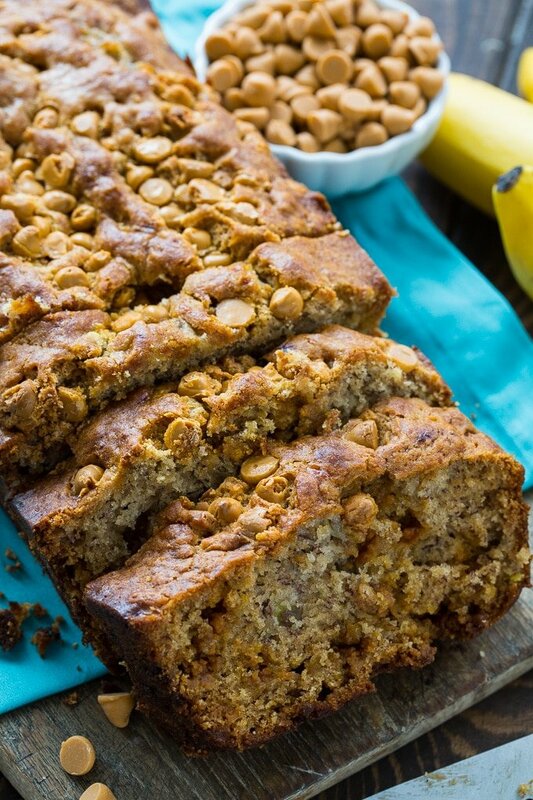 This Butterscotch Banana Bread is one of the most delicious banana breads. It’s loaded with butterscotch morsels and the flavor of butterscotch really complements the banana flavor well. It’s pretty much a match made in heaven! 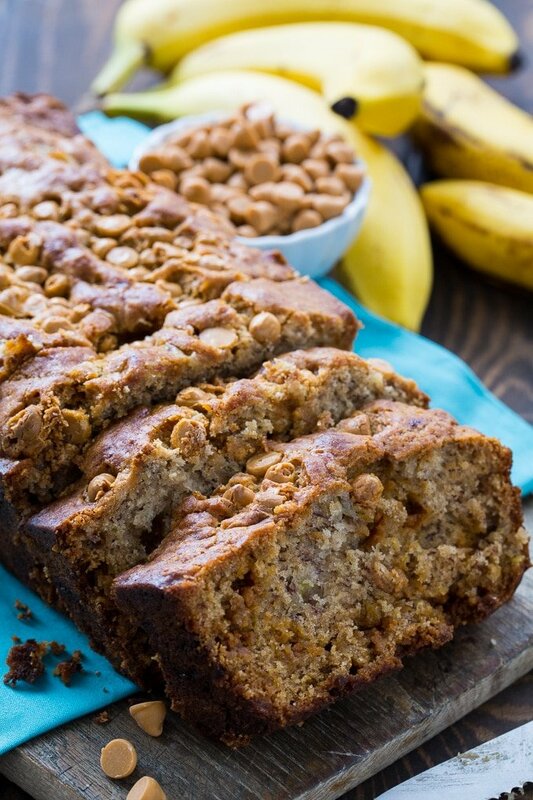 This recipe is great for using up super ripe bananas. You’ll need 3 for one loaf of this bread. Butterscotch Banana Bread is sweet enough to serve for dessert but also makes a great snack for breakfast. Plus it goes perfectly with a cup of coffee. You’ll pretty much want to eat it all day long. This bread is so moist and delicious with lots of butterscotch flavor. I can’t wait for you to try it and tell me what you think. 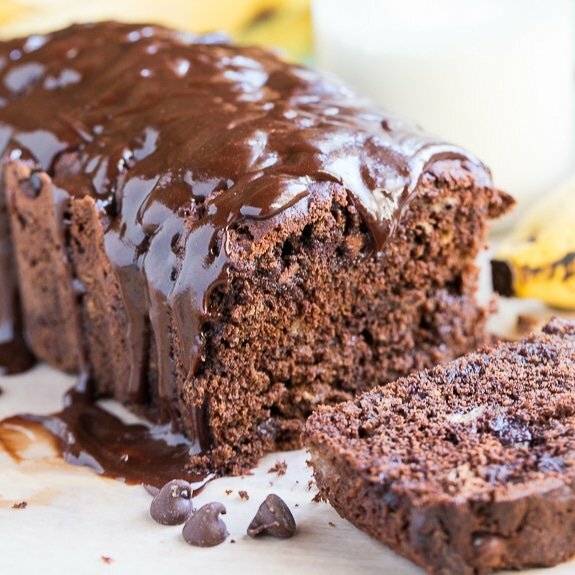 It seriously rivals this Peanut Butter Cup Banana Bread for my favorite banana bread of all time. It’s moist enough to keep for 3 days or so wrapped well. I think it tastes better though if you cut a slice and warm it in the microwave for a few seconds. Looking for a basic banana bread recipe? 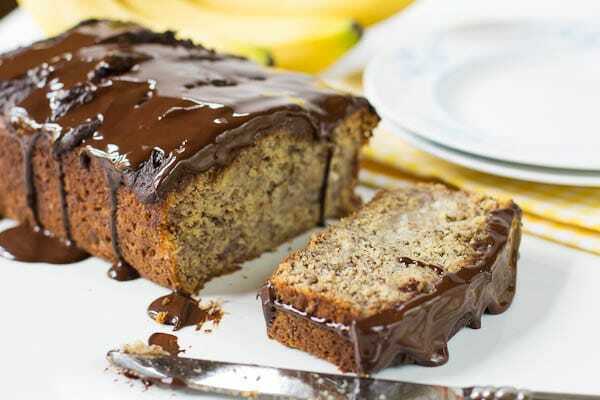 Try this banana bread. It is wonderful! 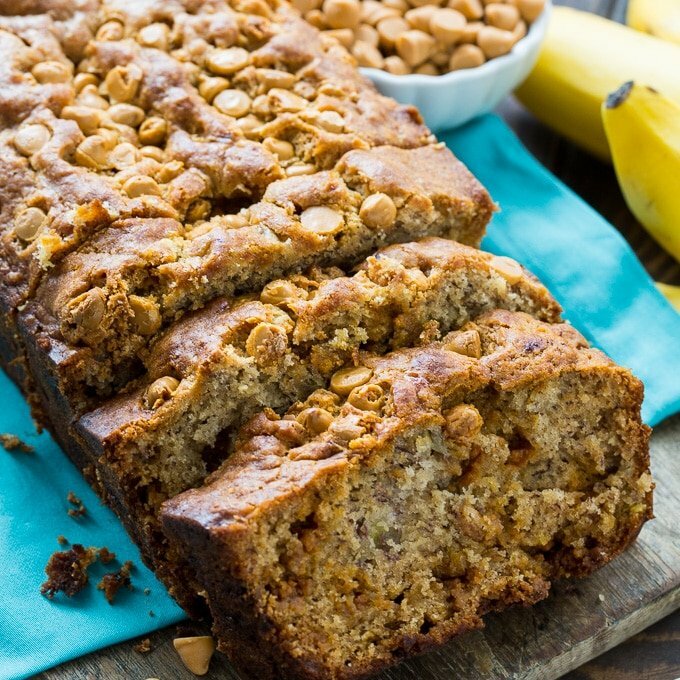 This Butterscotch Banana Bread is one of the most delicious banana breads. It's loaded with butterscotch morsels and the flavor of butterscotch really complements the banana flavor well. Preheat oven to 350 degress and spray a 9X5-inch loaf pan with baking spray with flour. Place bananas, egg, oil, brown sugar, and vanilla in a large bowl. Use an electric mixer and mix until blended. In a medium bowl, whisk together flour, baking powder, baking soda, salt, cinnamon, and nutmeg. Add flour mixture to banana mixture and stir just until combined. Stir in butterscotch chips. Transfer batter to prepared pan. Bake for 45 to 50 minutes. This entry was posted in Breads and Muffins and tagged bananas, butterscotch. Bookmark the permalink.